As SWAC's cooperative effort continues to grow among state agencies, labor unions, professional associations, and private companies, the collective cost of assuring the safety and security of our nation is dramatically reduced. Secure information-sharing eliminates unnecessary and costly redundant investigations, testing, and training. 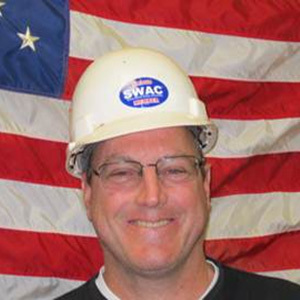 SWAC members are part of a trusted and growing community of skilled individuals who have demonstrated their commitment to the highest standards of professional conduct and to the safety and security of our nation's sensitive facilities and critical infrastructures. Facility owners and operators who join SWAC gain access to a vast pool of pre-screened members whose identity, certification history, and credentials are easily verified. Members also avoid the inefficiencies and high cost of administering their own personnel assurance program. 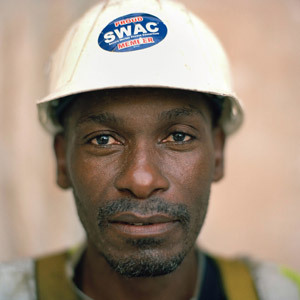 Contractors and labor organizations who join SWAC provide their customers with a trustworthy workforce. They also are assured that their workers' privacy rights are properly protected and secure. SWAC salutes our members who cooperatively provide a highly-trained, trusted contractor community dedicated to the highest standards of national security and to our nation's future. Joseph Manley is a proud member of the International Brotherhood of Electrical Workers, (IBEW) Local Union 456. IBEW represents approximately 725,000 members who work in a wide variety of fields including: Utilities, Construction, Telecommunications, Broadcasting, Manufacturing, and Government. 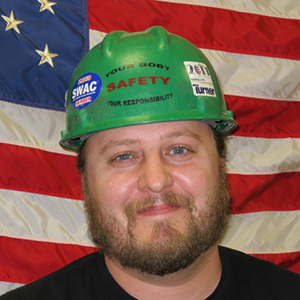 Daniel Spiecker is a proud member of the International Brotherhood of Electrical Workers, (IBEW) Local Union 456. IBEW represents approximately 725,000 members who work in a wide variety of fields including: Utilities, Construction, Telecommunications, Broadcasting, Manufacturing, and Government. 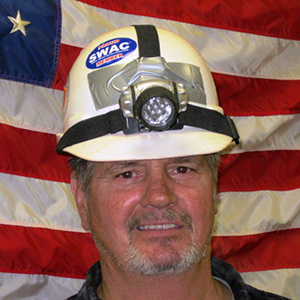 William Jennings is a proud member of the International Brotherhood of Electrical Workers, (IBEW) Local Union 456. IBEW represents approximately 725,000 members who work in a wide variety of fields including: Utilities, Construction, Telecommunications, Broadcasting, Manufacturing, and Government. 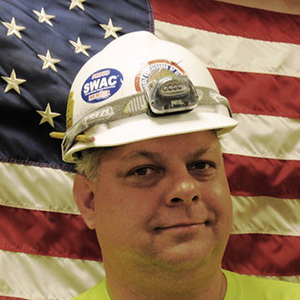 Richard Carcich is a proud member of the International Brotherhood of Electrical Workers, (IBEW) Local Union 456. IBEW represents approximately 725,000 members who work in a wide variety of fields including: Utilities, Construction, Telecommunications, Broadcasting, Manufacturing, and Government. 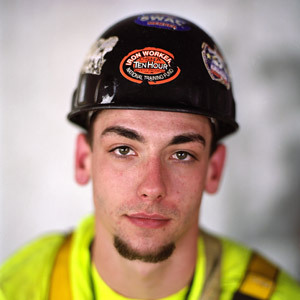 Ryan Gibbs is a Local 40 ironworker at Tower 1. He said he found the project very inspirational. Ryan Cius, a Local 46 ironworker at Tower 2 for the past year. 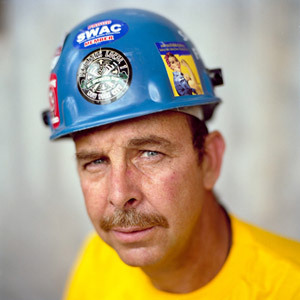 Ettobel Philogene, a Local 46 ironworker for the past five years, currently stationed at Tower 2. Amancio Verissimo is a Local 6A union laborer at Tower 4. Mr. Verissimo is responsible for ensuring that the carpenters at the site have all the materials they need for their work. "As a Portuguese-American, I am proud to represent the Portuguese community by helping build Tower 4," he said. 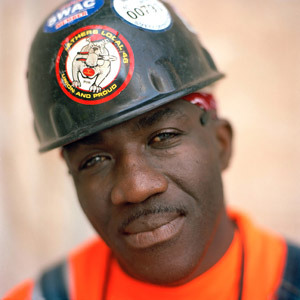 Thomas P. Smith, a plumber in Local 1, has worked on and off for six years at Towers 4 and 7. "It's an honor to work down there," he said. Years ago, as an apprentice, he worked at the original Tower 7 after its completion. 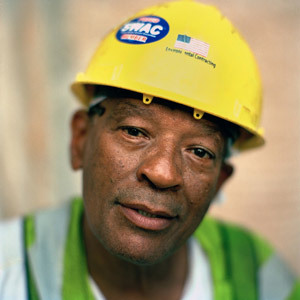 "It's sacred ground to all the construction workers," he added. Mr. Smith admitted feelings of sadness that the construction is nearing an end. 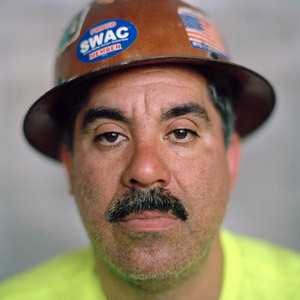 Robert Reyes is a Local 46 ironworker at Tower 4. He has spent the past two and a half years at the site. Mr. Reyes was working at a bank in the World Trade Center when it was bombed in 1993. "It means a lot to me to come back, rebuild and make history. It's a dream," he said. Frank Marte is an ironworker for Local 46. He has worked at Tower 2 on and off for about three years. These are some of the exceptional companies, organizations, and public agencies who have stepped up and joined SWAC to help ensure the safety of the New York and New Jersey Metro region. Copyright © 2001-2019 Real-Time Technology Group. All Rights Reserved.